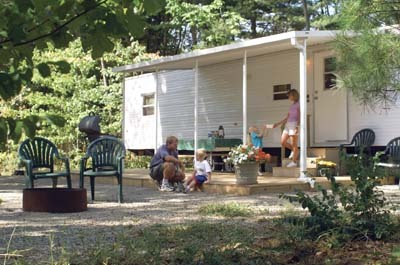 Looking for Lake George vacation rentals that meet all the needs of your family? Discover unique Adirondack lodging at the finest of Lake George resorts! Our spacious Lake George park model rentals provide more space, more fully equipped accommodations, and extensive luxury resort amenities that rival any Lake George hotel! 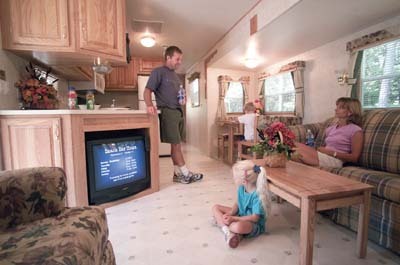 Our Lake George vacation rentals may not be what you think – call us at (518) 792-3775 for more information, or browse our website and see how you can spend your next Lake George family vacation with all the comforts of home – and then some! Looking for an Adirondack lodging retreat that has the comfort and amenities to accommodate your family? 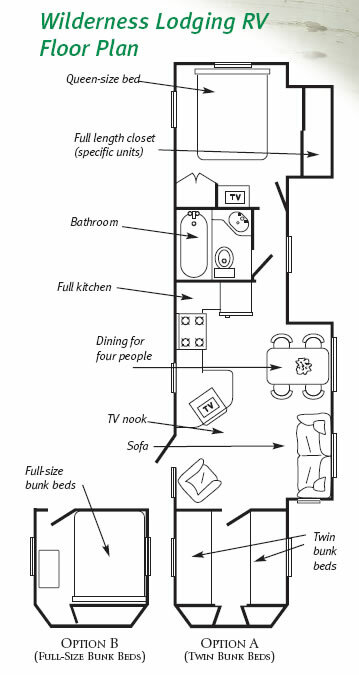 Compare our floor plan to that of most Lake George hotels and see the difference! Our park model units are ideal for large families or groups, offering two bedrooms, fully equipped kitchens, dining areas, bunk beds for smaller children and queen sized beds in the master bedrooms. Call us at (518) 792-3775 and let us answer any questions you may have about our Lake George vacation rentals or request more information. Discover what many of our guests already know – these luxury park model rentals in Lake George are as comfortable as any hotel rooms, offer more amenities than most Lake George resorts, and offer the best location you can possibly hope for when it comes to luxury Adirondack lodging!